Watch repairs is a family affair at Augenstein's with both Gerhard and son Gerry both certified clock makers with over 70 years experience as between them. 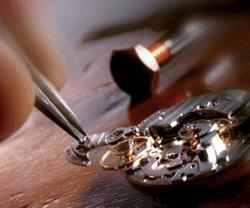 With each having either trained or worked in Europe you can trust your watch or clock to be repaired with care and expertise that only experience brings. With a comprehensive clock and watch workshop on site and extensive range of parts carried you can trust us for a prompt and expert service every time. 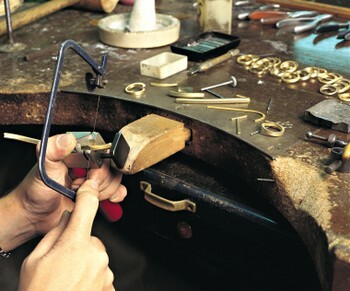 As manufacturing jeweller we have a extensive workshop and carry out repairs on site. We offer a prompt and personal service where you can speak directly with the jeweller if necessary so we understand your needs fully. All onsite repairs are kept in one of our two Lord Safes for your piece of mind when entrusting us with you precious jewellery. 2008 Augensteins. All rights reserved.